Nelly.com has yet another amazing competition set up for the Dutchies together with Glamour magazine and the Metro! You can design your own handbag and if your lucky you can win a € 1000,- gift certificate from Nelly.com and you get a chance to manufacture the bag you designed which then will be sold at Nelly.com! Amazing or what?! The second and third runner up will also receive a gift certificate from Nelly.com! So hurry up and go to Nelly.com and design your handbag! Ow and while you're there, I would really really really appreciate it if you would vote for me! 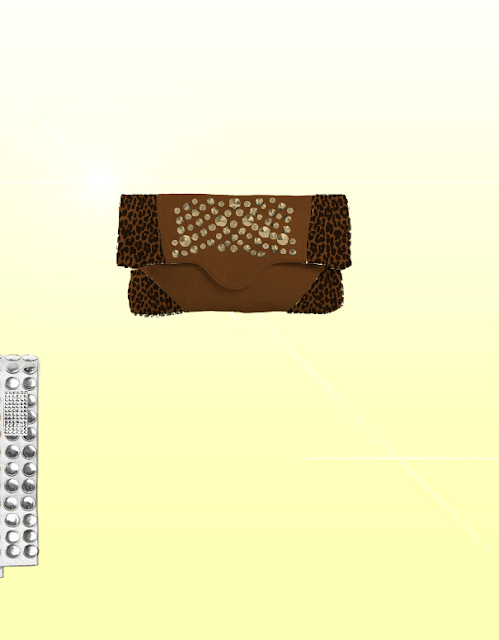 Haha I designed a clutch with (of course) leopard and studs! I made a little mistake by not erasing some items that I didn't want to use anymore, but just don't pay attention to that ;-)! Learn from my mistake and try not to forget to erase the items you don't use :-)! You can vote for me here! Thanks in advance <3!